To make the mayo mixture, combine the mayo, basil, and Parmesan cheese and set aside. To assemble the sandwich, slice a good chunk of the ciabatta from the loaf and slice into two pieces. Spread some of the may mixture on the bottom half and drizzle with some balsamic vinegar. Add the tomato, sliced mozzarella cheese. Spread more mayo mixture on the top half and drizzle with balsamic vinegar. Place on top of the bottom half. Heat a pan and add some butter. Once the butter is melted and starting to bubble place the sandwich in the pan. Reduce the heat as needed to prevent the sandwich from burning. Place a lid on the pan and continue to cook until the cheese is starting to melt. Remove the cover, add more butter as needed and flip the sandwich. Place the lid back on and heat until the cheese is melted. Remove the cover and flip one more time. Turn the heat off and let sit for a few seconds. 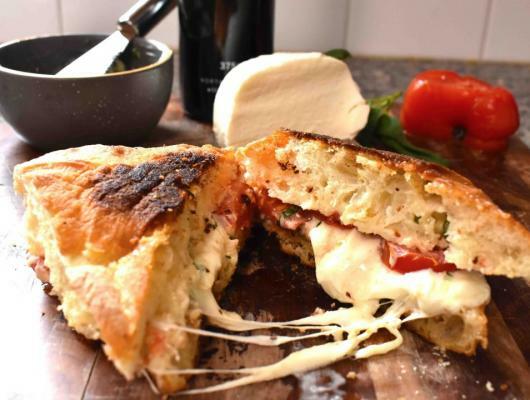 I’m not sure why anyone would need an excuse to eat cheese, but if you require one, here you go…. 1. National Grilled Cheese Day is April 12th. 2. 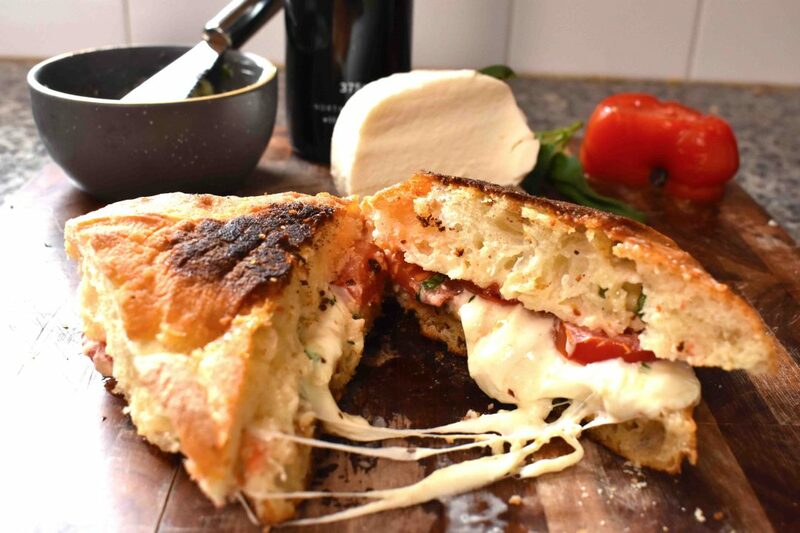 This caprese grilled cheese sandwich.